It’s ToC time! The Tournament of Champions will be back in New York City’s spectacular Grand Central, January 12-19. Watch the likes of Amanda Sobhy, Nicol David, Raneem El Welily, Nick Matthew, Mohamed El Shorbagy, and many others battle it out in the glass court in Vanderbilt Hall. For more info and tickets, go to the ToC website, and see you there! Best place to find upcoming NYC squash tournaments (and places to play) is on the NY Squash site. Better yet, become a member of NY Squash and you’ll be reminded when to sign up. For the rest of the U.S., check out US Squash for events and tourneys near (hopefully) to you. Are you a New Yorker? Do you play squash? Then this one’s for you. On December 5-7. The NY Open has been a fixture on the regional calendar since the mid 1990’s. It started at the Eastern Athletic Club in Brooklyn Heights before moving for many years to the Printing House. You can expect a well organized and fun tournament attracting players across all skill levels. We will strive to give all players 3 matches and will try to honor any time restrictions you may have for Friday availability. 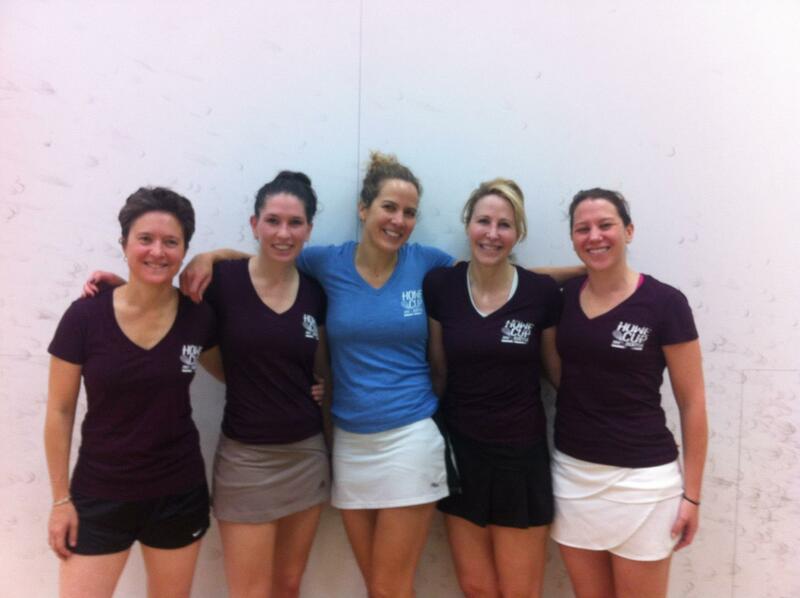 NYC women at NYSquash Women’s Squash Week! NYC Women! Start your competition and training engines! 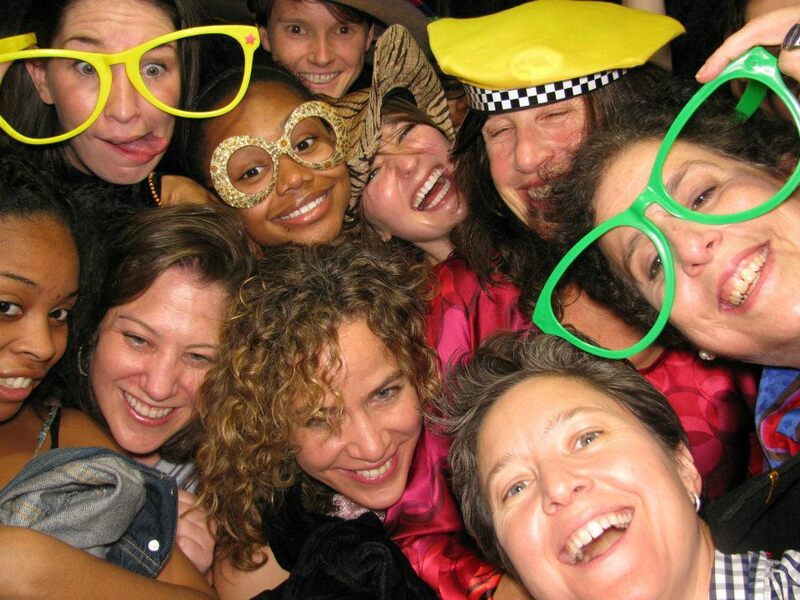 Women’s Squash Week arrives the 2nd week in September, and the all-women and all-awesome Howe Cup will be the weekend of October 18th in Philadelphia (Fairmount Athletic Club, King of Prussia). Stay tuned for more info. here and if you want to join a NYC team (A, B, C), email me at squeakyfeetsquash@gmail.com. 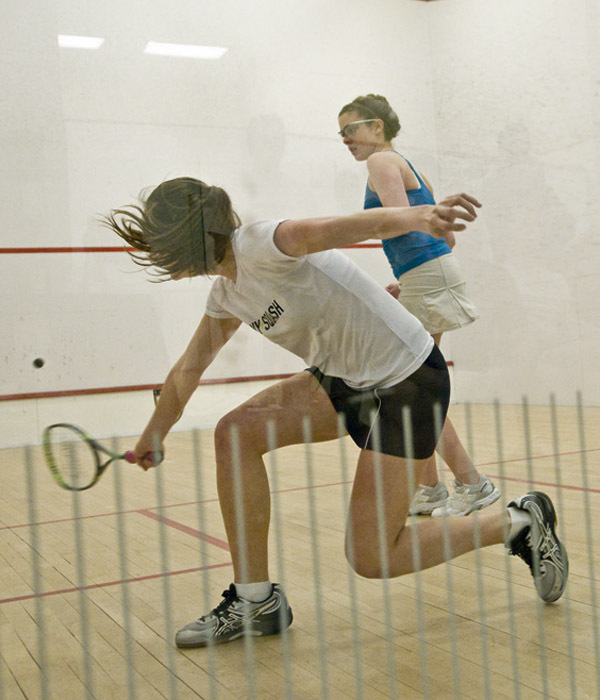 As for the rest of you NYCers, go to www.nysquash.com for a list of tourneys and events in NYC for amateur players. And www.ussquash.com for everything in the entire U.S. of A. Obviously, Howe Cup 2012 was here and gone. But it was most definitely my favorite Howe Cup so far…what’s not to love about Seattle and the amazing organizational efforts of Lulu Chou and her team?! As soon as I hear where and when Howe Cup 2013 will be, I’ll post to this page. But the below gives you an idea of what to expect….NYC Women: If you’re interested in joining a NYSquash team to compete in the Howe Cup this October, keep reading…..
What: An annual women’s team tournament with teams from many North American cities and areas (Boston, Philly, NYC, Baltimore, DC, Seattle, California, Texas, Canada, etc.) with A, B, C, and D teams. 5 players to a team. *Flights: approx $350 currently, from NYC round trip ( plan on being there by Thursday eve and departing Sunday afternoon) Try JetBlue (free 1st checked bag!). A number of us are departing Sunday on the 12:55 p.m. flight. If you want to join a NYC team or for more NYC team info, please contact me at squeakyfeetsquash@gmail.com. So much squash to play and watch right now that I barely know where to start. If you’re in the NYC area, check out the NYSquash site for their list of upcoming tournaments and events. And check out USSquash for tournaments in the rest of the U.S. There are also pro tourneys coming up. More info at PST, PSA, WISPA, ISDA, and WSDA. Now you know your squash alphabet…. It’s that time of year again — time to sign up for the Grand Open! Play in one of the most popular and fun tournaments of the year and get to watch the Tournament of Champions in Grand Central. Sign up here soon – draws definitely fill up fast. If you’re a female squash player in NYC and want to play more, please check out these upcoming events and info! There are so many tournaments in NYC going on these months, I can’t keep up with them, so go here, to find what fits your schedule. I’ll shout out the Big Apple Open @ Eastern Athletic Club (4/29-5/1) because it’s in my borough (tho’ only one stop from Wall St.) and a very friendly club. But if you only have time/$ for one more this season, consider the Hyder Trophy in May; it’s perfect for playing, watching, and you won’t need your coat (hopefully) in between matches. The New York Sports Club-86th St is hosting a US Squash sanctioned skill level event from March 11-13. The information as well as a signup option can be found at http://www.msra.net/events/uptown2011.asp. Sign up by March 7th! Lots of great squash events coming up this month. You may not be able to do/see everything but if you can only pick one, I’d highly recommend the Grand Open Jan 21-23, and the entry fee also lets you see the pros in action in the Tournament of Champions at Grand Central. Priceless! Sign up by Wednesday 1/5/10 for the discounted entry fee. After that, it’s a few bucks more. But don’t dawdle, draws fill FAST. Also, if you’re at all curious about doubles squash, check out the pro exhibition match at CityView on Tuesday, January 11th @ 7 p.m. And if it inspires you, sign up to play in the MSRA doubles league, starting in mid January. For more events in the NYC area, check out the MSRA home page.